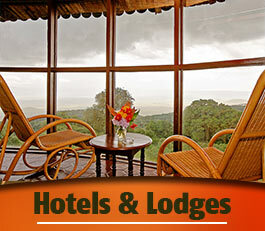 Booking will be considered confirmed upon receiving from the clients the deposit of 35% of the total travel cost. 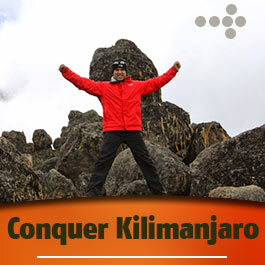 Balance payments can be made on arrival for only camping safaris and mountain climbing. 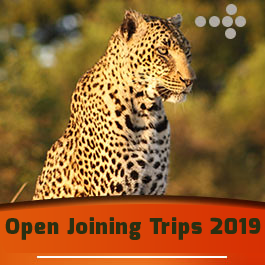 A deposit of 35% of the tour cost is required on time of confirming booking and the balance not later than 50 days before commencement of the safari tour. Payment in full is required where bookings are made less than 40 days before the tour begins. Notwithstanding any prior confirmation of arrangements, the right is reserved not to execute tours if payment has not been received in accordance with foregoing. In case the date of payment is exceeded, you will receive a friendly reminder. If we still do not receive your payment subsequently, we have the right to cancel your trip and we will charge you cancellation fees of 30% of the total amount. Cancellation up to 50 days before the day of arrival: 30% of the total amount. Cancellation from 50 days to 40 days before the day of arrival: 75% of the total amount. Cancellation from 40 days to the day of arrival: 100% of the total amount. No refunds will be given for any unused services, late arrivals or no-shows. All suggested safari itineraries are subject to availability and not guaranteed until confirmed. In case the proposed accommodation is fully booked we will offer you a suitable alternative in the same price range or higher (a surcharge may be applicable). In the unlikely event that the alternative available travel services are not acceptable to you, we will provide a full refund. Especially in peak season (July August and mid-end December) we strongly recommend booking well in advance to avoid possible disappointment. Aardvark Expeditions Limited reserves the right to amend and re-adjust the itinerary, transportation, accommodation and services indicated in the safari program in the event of unforeseen circumstances beyond our control. Any changes will be communicated as early as possible. Comprehensive travel insurance is mandatory and we recommend you to insure for cancellation as well. If you already have travel insurance we strongly advise you to check your coverage. Note that Aardvark Expeditions will make the necessary ground service arrangements, but cannot book your international flight. It is your own responsibility to obtain a tourist visa for Tanzania. Every effort is made to ensure that the safari vehicles are provided in a roadworthy condition but no liability can be accepted for a puncture, breakdown, damage, or delay as a result of the poor road conditions. We only allow the guides to drive the company vehicles whose decision on all matters, such as the route taken, is final. It is a privilege to see animals in their natural habitat and as such, we cannot guarantee wildlife or game viewing. You must take caution when viewing the animals, keep a minimum distance and carefully follow the instructions given by either the tour guide or wildlife rangers. Any complaints must be reported immediately to the Aardvark Expeditions Limited guide (or head office) and to the supplier of the service, who will do their best to resolve the matter. If the problem is not solved to your satisfaction, the complaint should be reported in writing and not later than 30 days after completion of the tour. Liability for complaints not notified in accordance with the above described procedure cannot be accepted. Whilst Aardvark Expeditions Limited will exercise utmost care in dealing with you as our esteemed guest and your belongings, we cannot be responsible for loss or damage to personal belongings, personal injury or death. It is therefore mandatory to have comprehensive travel insurance when traveling. If Aardvark Expeditions Limited is affected by force majeure, which means any circumstances beyond the control of the company (including and without limitation, explosions, floods, tempests, fires, accidents, war or threat of war, sabotage, insurrection, civil disturbance or requisition, sickness, quarantine, government intervention, weather conditions or other outwards occurrences, we shall inform you immediately of the nature and extend thereof. The company is not allowed to violate or abuse these conditions. Payment of any refund to you as result of the non-performance of any company, we shall use reasonable efforts to compensate you where possible. However, we will be entitled to deduct from any refund recoverable to the reasonable actual and potential costs to the company of the force majeure.